I am not a fan of driving long distances by myself. So the opportunity to ride to the NRA show with my friend Dennis Badurina was eagerly seized. He brought several of his holsters along and one of them caught my attention. It holds a Taurus TCP 380 with Crimson Trace laser. 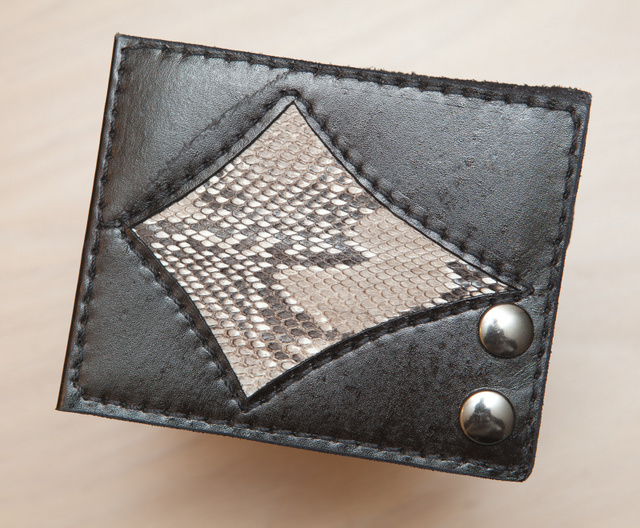 This holster comes with a removable panel which makes it look like a wallet when placed in a back pocket. 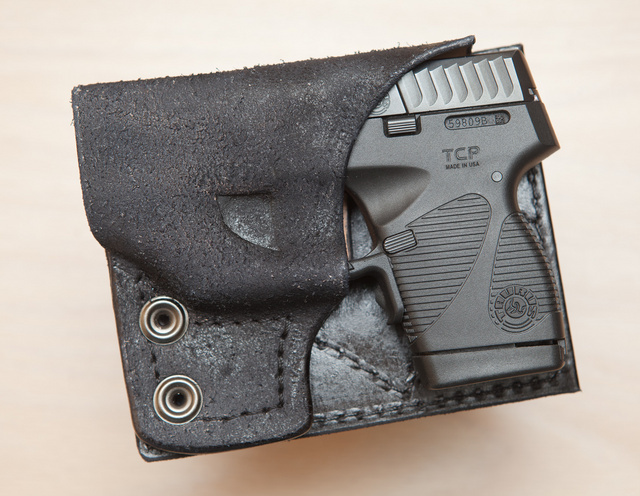 For front pocket carry, the panel can be removed. This one has been carried for a while and still looked really nice. I recommend it highly. 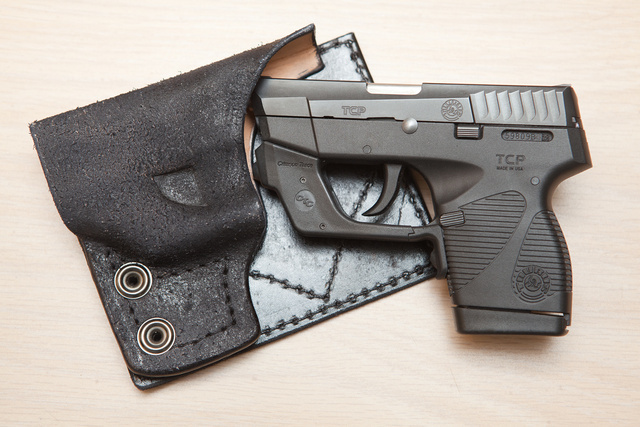 This entry was posted in holster, light/laser, pistol, weapon and tagged 380ACP, Dragon Leather, leather, Taurus. Bookmark the permalink. were do I find a taurus 380 tcp with laser holster for in pants or wastbabd?